When the summer comes around, we reach for the crochet. With so much variety it suits so many moods, whether it is Ashley Tisdale wearing a beautiful long crochet tunic or J Lo in matching cropped crochet top and shorts. 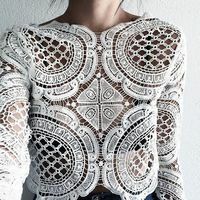 We love the boho feel of a long crochet top to wear as a cover up at the end of the day at the beach. Or carry the look into the evening with strings of beads and a headband for that extra bohemian touch. A crochet tunic can also do girly cute, if we choose something light and airy. 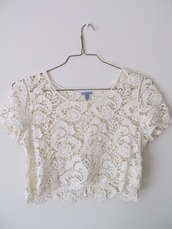 A sure hit with us is the simple cropped top with a pair of pajama shorts or denims.